There will be little or no argument about which two teams most deserve to appear in the national championship game under the BCS rules: Auburn and Oregon. But what about undefeated TCU? 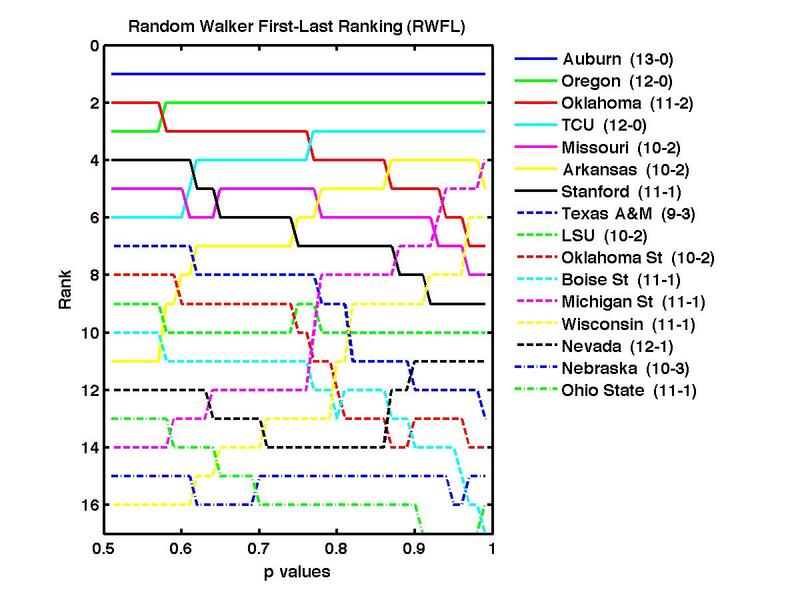 When we vary our bias parameter, as a proxy for various algorithmic ranking choices, TCU ranks between 3rd and 6th (as represented in the figure below). 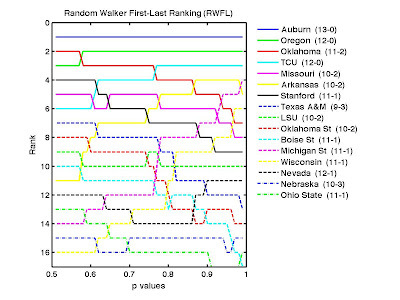 Oklahoma, Stanford, and Missouri each rank ahead of TCU under some of the parameter values. Do you know the last time TCU lost a regular season game? November 6th, 2008, by three points after giving up a last-minute TD to a Utah team that finished that season undefeated with a Sugar Bowl victory over Alabama. TCU went 11-2 that year, with their only other loss at the hands of Oklahoma, who finished that season losing in the BCS National Championship game. TCU then finished the 2009 season with a 12-1 record after losing the Fiesta Bowl to an undefeated Boise State, who broke the 4th quarter tie thanks in part to a gutsy fake punt. And now they're 12-0 in 2010. 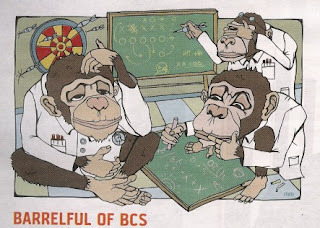 Irrespective of whether TCU ends up undefeated after their bowl game, can't we just have playoffs already? Our rankings for the full FBS and FCS are available on Kenneth Massey's College Football Ranking Comparison.